Victoria and her family stayed in Angel’s Window, which is one of our two-bedroom cabins that can sleep up to eight people with the pull-out sofa. The kids and adults alike were immediately thrilled with how the cabin lived up to all of their expectations upon entering. Everything was setup and ready for them so that they could start enjoying their vacation immediately. The convenient electric fireplace in the main living room was a huge plus for Victoria. They don’t have the opportunity to have many fires because they live in Florida, and this setup meant that she could easily turn it on and enjoy the ambience without worrying about the kids. The game rooms featured in many of our cabins are always a hit with our kid guests, and it was no different with Victoria’s family. Not only were the young ones enamored with the variety of options such as classic arcade video games, air hockey, and pool, but Victoria and her husband even found themselves getting in on the action too. Not to mention the fact that the game room was located downstairs, adjacent to the media room and an extra bedroom and bathroom that were perfect for the kids. This meant that they could get up early and watch TV while Victoria and her husband took advantage of some extra shut-eye time. Now that’s a luxury that few parents get to experience on a family vacation. 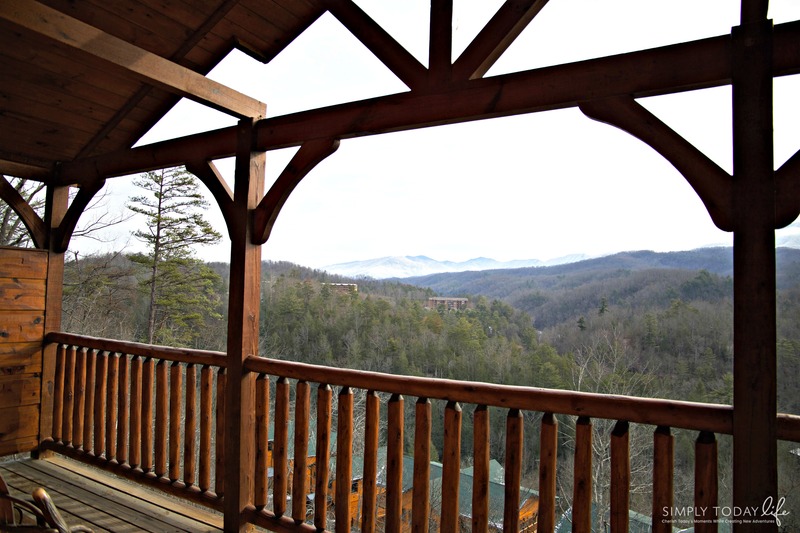 Victoria relished the chance to step off onto her private master bedroom balcony every morning and soak in the distinctive views of the Great Smoky Mountains. She was thrilled that she got to share this unique adventure with her family, because creating these kinds of memories with the ones you love is really what life is all about. These Floridians even got to see some snow, and Victoria noted that she will always remember the look on her kids’ faces as the flakes quietly fell to the ground. The trip may have only lasted a weekend, but the memories of their amazing family vacation in the Smokies will last forever. To read Victoria’s full story, go here: Best Cabins In Gatlinburg For Families, and With Breathtaking Views.